Foundry crew. Oregon Iron & Steel Co.; Pipe casting, 1920s? [stamp] School Memory Pictures by Wick Miller, 420 S.W. Washington St. no._____. Re-orders for this picture must be by number. OA#137. Description Yellowed tape on three sides of photo. Transcription Foundry crew. 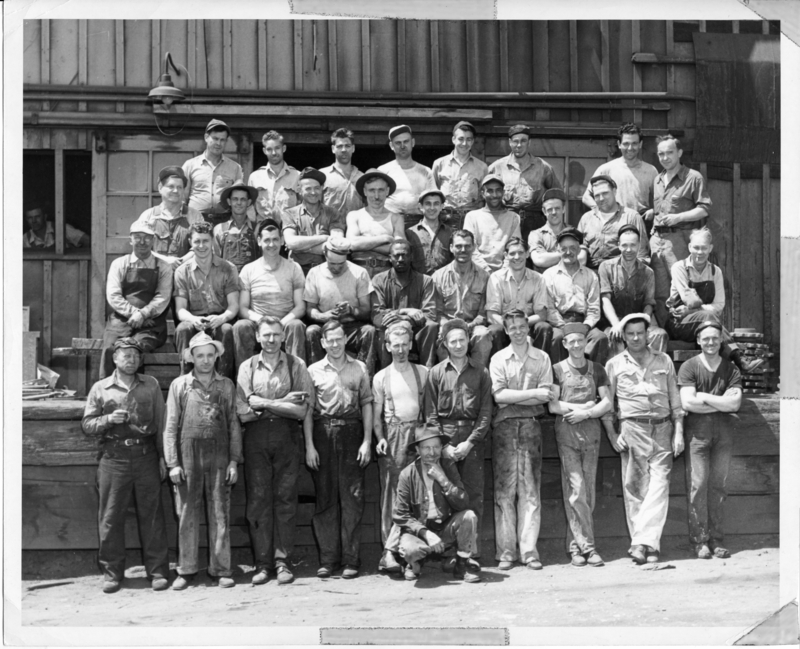 Oregon Iron & Steel Co.; Pipe casting, 1920s? [stamp] School Memory Pictures by Wick Miller, 420 S.W. Washington St. no._____. Re-orders for this picture must be by number. OA#137. Physical Description H 8.25"" x W 10""